President Trump has tapped Carl Icahn to help him get rid of “strangling regulations” that are hurting the American economy. Of course, gutting some of those federal rules will also mean big profits for Icahn. Icahn’s new role as Trump’s special adviser on regulatory reform may already be boosting his vast fortune. Shares of CVR Energy, the oil refiner Icahn controls, spiked 10% the day after Trump announced his appointment. Icahn’s new role as Trump’s regulation-buster has given him a powerful platform to push for getting rid of this EPA rule. The legendary investor has said he was even consulted on Trump’s selection of Scott Pruitt as the new head of the EPA. Now, Senate Democrats including Elizabeth Warren and Al Franken are flagging concerns over just how closely Icahn’s business interests align with his role in the Trump administration. The CVR episode suggest a “conflict of interest between Mr. Icahn and advice he gave President Trump on the nomination of Mr. Pruitt,” the senators wrote in a letter on Monday to White House Counsel Donald McGahn II. Icahn’s “sprawling business empire and potentially unlimited portfolio in the administration” present an “unacceptable risk” of “real or potential conflicts of interest,” the lawmakers said. Five other Democratic senators signed the letter: Sheldon Whitehouse, Sherrod Brown, Tammy Baldwin, Amy Klobuchar and Debbie Stabenow. The lawmakers note that his firm, Icahn Enterprises, invests in a broad range of industries regulated by the federal government, including auto, railcars, and mining. The letter asked the White House to respond to a series of questions before Wednesday on Icahn’s role, including whether he is a federal employee, if he’s been barred from providing advice on any specific regulations and whether he’ll be required to divest any of his holdings. Related: Stocks hit record again. Is Trump the reason? Before he was elected, Trump suggested Icahn would be his choice as treasury secretary. Ultimately, Trump selected Icahn to help him overhaul federal regulations — one of the president’s major priorities to unleash the U.S. economy. 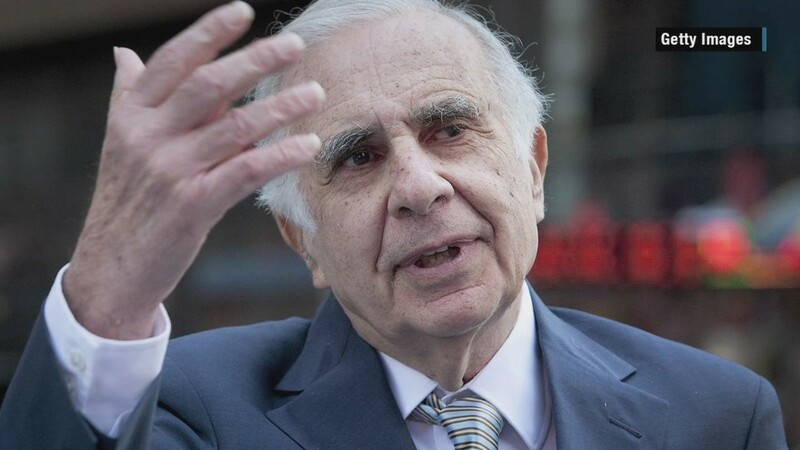 “He is not only a brilliant negotiator, but also someone who is innately able to predict the future especially having to do with finances and economies,” Trump said when he announced Icahn’s new role. But even Icahn couldn’t have predicted how his 2012 purchase of CVR stock would turn into a controversy in a Trump White House. Icahn’s firm Icahn Enterprises owns an 82% stake in the oil refiner, making it one of his biggest positions. Icahn has warned that the EPA’s renewable fuel standard rule will cost CVR $ 200 million this year. CVR has even filed a lawsuit against the EPA over the law, according to press reports. Pruitt, Trump’s pick to lead the EPA, has been critical of the rule, calling it “unworkable” in its current form during his Senate confirmation hearing. Wall Street is betting CVR will emerge as a big winner of Trump’s deregulation push. Shares of CVR have surged 68% since Trump’s victory. CVR’s success has helped lift Icahn Enterprises(IEP) too. Shares of Icahn’s firm have soared 18% since Trump’s victory.